It has a defined forward speed in diagonal direction with the effect of a significantly reduced sink speed. This results on the one hand in a higher aspect ratio compared to conventional cruciform canopies, those propulsion mainly takes place towards one side, and on the other hand in the asymmetrical air flow of the convex sides of the DIAMONDcross canopy, thereby receiving an ascending forced optimised profile. The DIAMONDcross has different line lengths which has the effect that the strips of the canopy don’t lie on top of each other when packing the canopy. This diversification causes an easier air inlet when opening and thus an increased opening speed compared to conventional cruciform canopies. The packing of the DIAMONDcross is not more time-consuming or more complex than for a normal cruciform canopy. 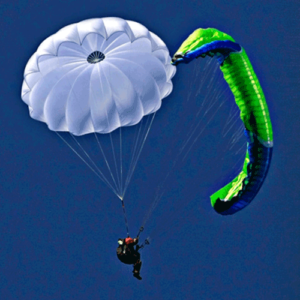 The superlight DC thus combines the low packing effort of round- and cruciform canopies with the controllability of Rogallo rescue systems. 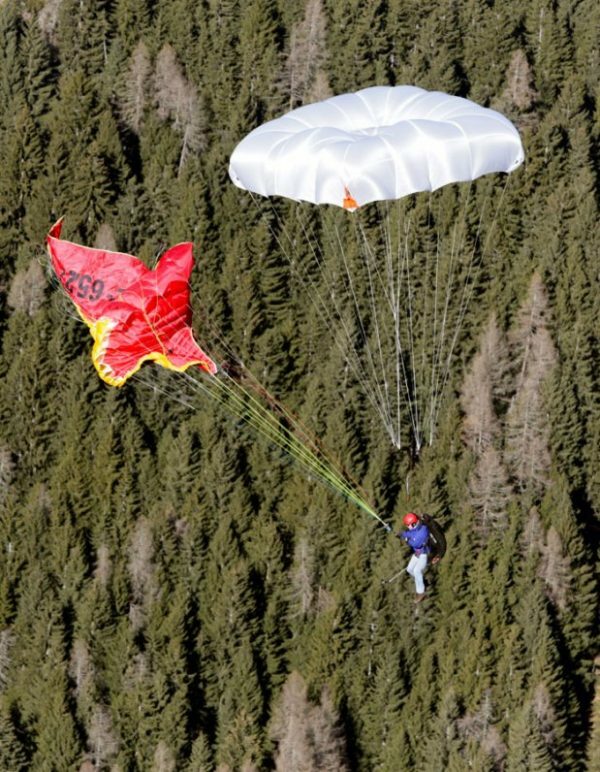 For the DIAMONDcross, there is no risk of „downplane” directly after opening, which is the case for Rogallo rescue systems, also when flown too slow, if it opens with the top downwards. The concept of the DIAMONDcross works without pre-brake and therefore the system remains very easy to handle and is reliable. The twisting of the lines, which often is unavoidable when using a controllable rescue system, doesn’t cause any special risks. The DIAMONDcross can also be controlled in twisted condition. The red colour marking on the front head indicates clearly visible the flight direction for the pilot. 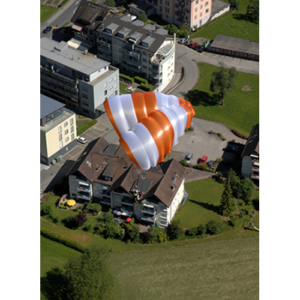 The long suspension lines of the DIAMONDcross and the symmetric shape of the canopy lower the risk of causing a collapse with the rescue system and the glider. A short stall phase of the DIAMONDcross after opening prevents the formation of a “downplane”-position. 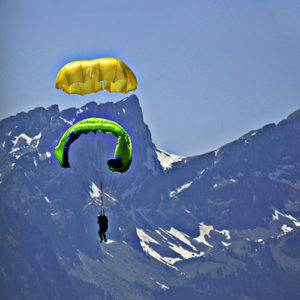 The DIAMONDcross merges without the help of the pilot after a short independent stall phase in an easy, very stable and swing-free forward flight. The special design of the inner container, optimized with the help of Tom Grabner’s G-Force trainer ensures a safe deployment of the DIAMONDcross with low effort needed. Especially with regard to inconvenient pulling directions when deploying the rescue system. 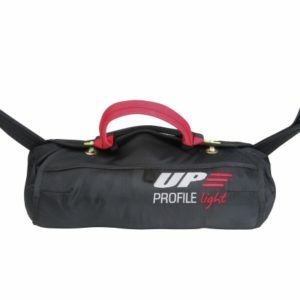 Therefore we absolutely recommend to use the original approved container with the rescue system and to adapt the rescue handle of the harness to the container by an authorized service company. The canopy will only be deployed after aspect ratio of the suspension lines, which enables a fast and controlled opening. 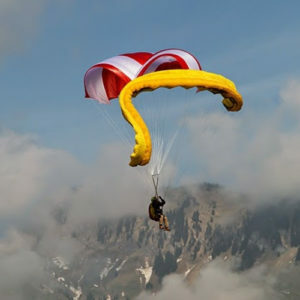 The risk of a cravat of rescue system and glider is therefore reduced. 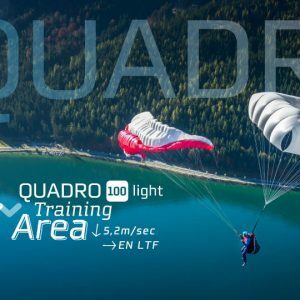 The superlight, optional steerable cruciform canopy from Charly’s product designer Tom Grabner has been registered for patent and certified in four sizes.